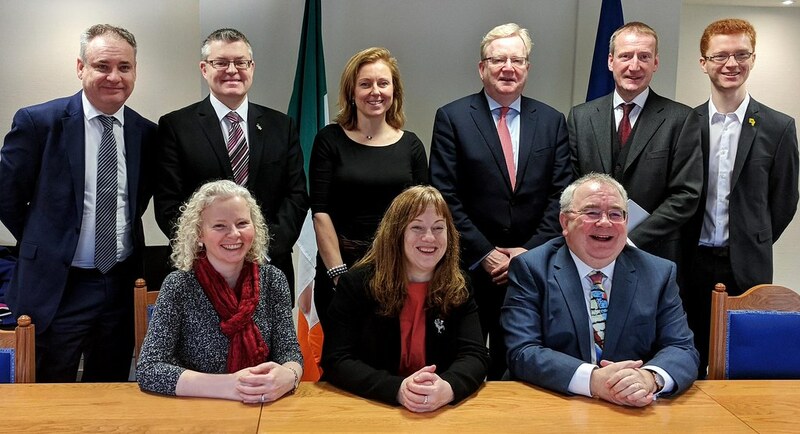 Since becoming Deputy Convener of the Culture, Tourism, Europe and External Relations committee I have already held a number of meetings on Brexit. Brexit is the biggest political issue in British politics and it will continue to dominate the political discourse in the years ahead. As we move towards trying to achieve a deal it is vital that we listen to as many people as possible and ensure that Scotland’s voice is being heard in the debate. That is why I was pleased to be able to go to London, Belfast and Dublin last month to ensure that the views and voices of the Scottish Parliament and my constituents were heard. We need to work hard to ensure that any deal does not hurt our economy, workers and jobs. Scotland has proudly led the UK in our response to the refugee crisis and it is important that we continue to do so. We must ensure that refugees that come to Scotland are given more than just a place to stay but also hope of a better future. 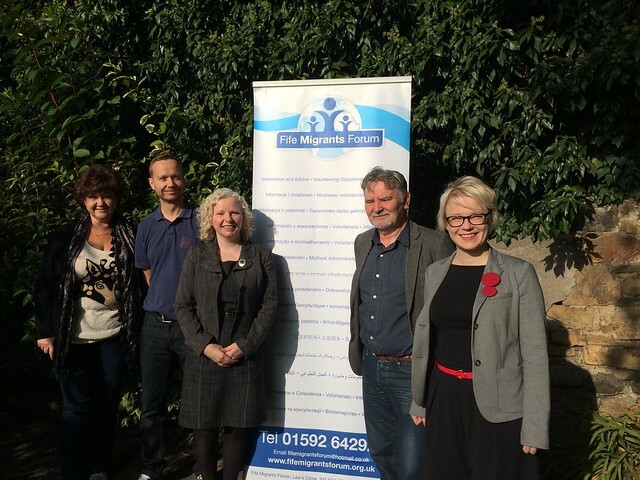 That is why the work undertaken by organisations such as Fife Migrants Forum is so important and I was delighted to be able to visit their offices in Kirkcaldy to highlight their efforts in ensuring that migrants and refuges are integrated into their local communities. The visit followed a roundtable meeting on the ongoing crisis in the Scottish Parliament which we both took part in. Following the UK Government’s announcement that they would be accepting 20,000 Syrian refugees over the course of Parliament, the Scottish Government has agreed to their share of at least 2,000. Fife Council has signed up to accepting a number of these refugees to the Kingdom, with the first refugees due to arrive in the next few weeks. Yesterday the First Minister launched her Government’s programme for 2015-16. This will be the legislation that the Scottish Government will bring forward ahead of the Scottish Parliament elections in May. With the Scottish election on the horizon, we have a shorter parliamentary year than normal so it is important that we use the time that we have to make progress in a number of key areas. Yesterday the Scottish Parliament debated the forthcoming European Union referendum where I laid out the positive, progressive case for continued membership. Today I called for a positive and progressive vision for Scotland and the UK’s continued membership of the European Union. As we move towards the EU referendum it is important that the ‘Yes’ side does not get fixated on process and instead wins the argument for staying in the EU. I made the calls during a debate on the EU referendum today in the Scottish Parliament and I was delighted to lead for Scottish Labour as our spokesperson on Europe. Yesterday I led for Scottish Labour during a Scottish Government debate on Scotland’s Place in Europe. During the debate I highlighted the benefits of the United Kingdom’s continued membership of the European Union and the access to the single market that membership brings.